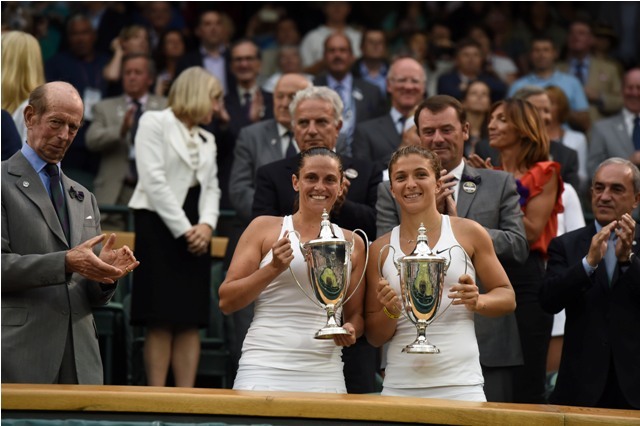 Sara Errani and Roberta Vinci achieved a magnificent feat at the Wimbledon Championships when they became the first Italian duo to win a career Grand Slam in doubles. The pair defeated the 14th seeds, Hungary’s Timea Babos and Kristina Mladenovic from France, 6-1, 6-3 to secure their spot in Wimbledon history. They were never in any real danger of losing the title, and played a near perfect match to secure the win with no unforced errors to show for their efforts. They closed out the opening set in 27 minutes and played out the match in just under an hour. The pair won their first two Grand Slam titles at the French and US Open back in 2012 and completed the career slam by winning the Australian Open at the start of the season and now their crowning jewel at the Wimbledon Championships. Their victory is a magnificent one, as Errani and Vinci are just the fifth pair in tennis history to accomplish the career slam, and the first since Venus and Serena Williams did so in 2001. 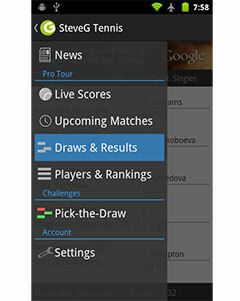 They join Australians Margaret Court and Lesley Turner Bowrey, American duo Kathy Jordan and Anne Smith, Martina Navratilova and Pam Shriver, and Gigi Fernandez and Natasha Zvereva.